EPIC Modules Archives - SLN Technologies Pvt Ltd. 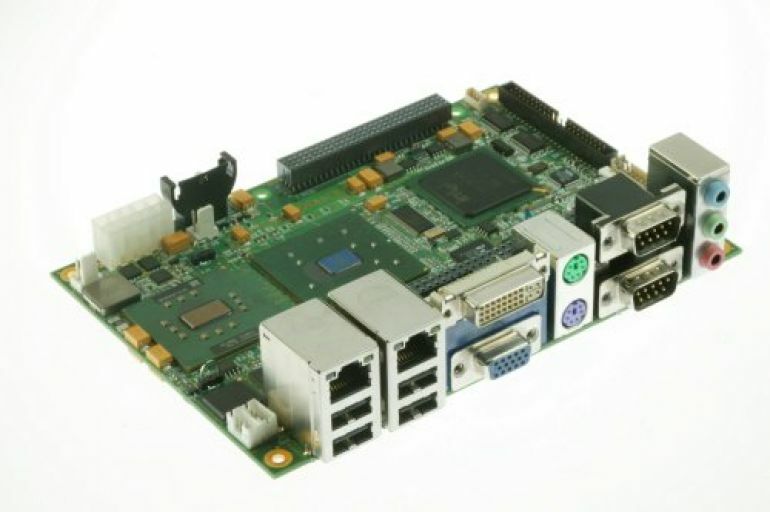 The M706R is the SECO EPIC™ board with Intel® Celeron® M and Pentium® M processors, Intel® 855GME / ICH4 chipset and 2/3 D Graphic Controller, supporting AGP4x interface. This board integrates many features for the most demanding applications. So, on the fronplate there are 2 serial ports, 4 USB 2.0 ports, 2x 10/100BaseT and 1x 10/100/1000BaseT Ethernet ports (1000BaseT optional), 1 parallel, 1 DVI and 1 CRT connector. There is also a slot for the increasingly used Compact Flash and the possibility to use 15 GPIOs. This all, added with the possibility of PC/104 and PC/104-Plus expansion boards, offers a very performing solution for many embedded applications.